Web redesign happens to all companies with an online presence. Creating your business website is fun and new at first. You unveil your shiny new piece of internet real estate and begin drawing in traffic, views, clicks, form submissions, and your brand becomes well known. You place well on rankings, plugins are up to date, and your website is at the cutting edge of style and form. The website you paid for and collaborated to make is earning you money, and your investment is paying dividends. When your website no longer matches contemporary standards or visual trends change, a web redesign may be necessary. Old designs not only affect you aesthetically but it can slow your site down and make the user experience intolerable. By working with a designer at Design & Promote we can help you figure out a custom website to suit your business needs and get your website producing again. Our team has years of experience across multiple industries, and we can explain to you what new methods and tactics, new looks are available in a new custom website for you. You will get more than a facelift but a deeper upgrade to website functionality as well. 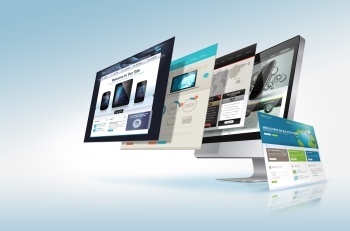 A custom web redesign is basically a tune up for your website. Everything requires maintenance, and if you change the oil in your car you should consider a web redesign for your website. Complete the form on this page and a member of our team will contact you soon with more information on our services.